Alright, so I know that eSports are already a tough sell for many, but hear me out. Last week, 343 Industries announced a partnership with ESL Gaming to launch a Halo Pro League, the first season of which is set to run through the months of June and July. Like most eSports competitions, it will eventually end with the top team winning a bunch of money. 1. 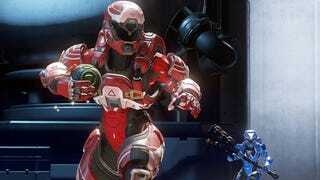 Halo is using traditional sports seasons as a model for their own season format. Pre-season roster changes, weekly matchups, playoff qualifications, and a championship game. In essence, they’re building a model of competition that is comparable to, say, the NFL or NBA. There’s even a relegation/promotion system that you soccer fans will appreciate. 2. Halo is one of the most “American” eSports out there, in the sense that all the top teams are located in North America. This means players and teams will be more relatable, games will be more accessible, and live events will likely be held somewhere in the States. Say you’re a big fan of the Cleveland Browns. In addition to masochism, this experience should feel very familiar to you: preseason roster changes, season-opener excitement, weekly match-ups with other teams, broadcasters who keep piling on after each poor performance, a pitiful win-loss record that eventually disqualifies you from the playoffs, and watching from the sidelines during the postseason as some other team is eventually crowned champion. This experience is what Halo (and a few other eSports) are attempting to replicate. And that’s a big deal, because sports fans really like this experience. If you like sports, and you are interested in competitive video games in any way, then this is pretty cool combination. It’s a combination that I think will continue to push eSports into becoming a mainstream cultural phenomenon. Plus, let’s be honest - if you really are a Cleveland fan, this might be your best chance at tasting victory during your lifetime.